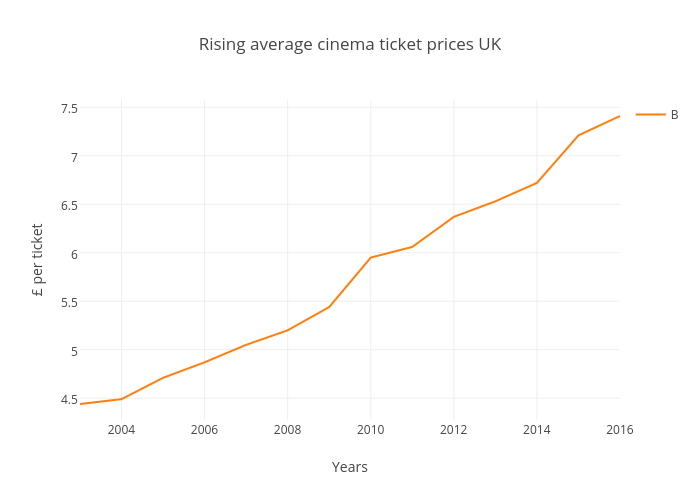 Imlo's interactive graph and data of "Rising average cinema ticket prices UK " is a line chart, showing C vs B; with Years in the x-axis and £ per ticket in the y-axis.. The x-axis shows values from 2003 to 2016. The y-axis shows values from 4.275 to 7.575.